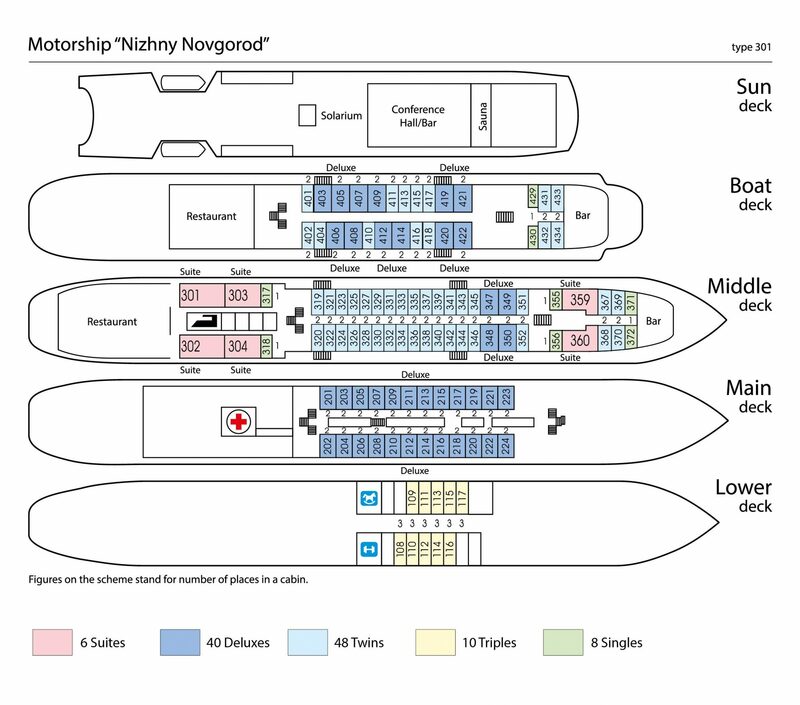 MS Nizhny Novgorod is one of the most comfortable four-deck Russian vessels to cruise the Russian waterways. 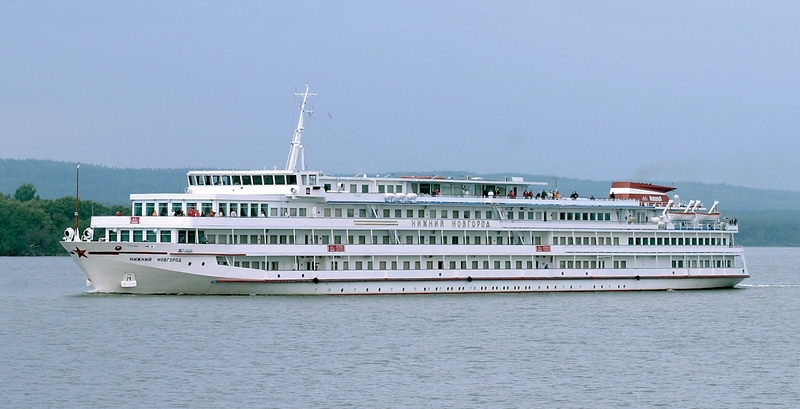 Built in Germany in 1977 and will be in the works to be refurbished in 2019 just in time for the 2019 season. 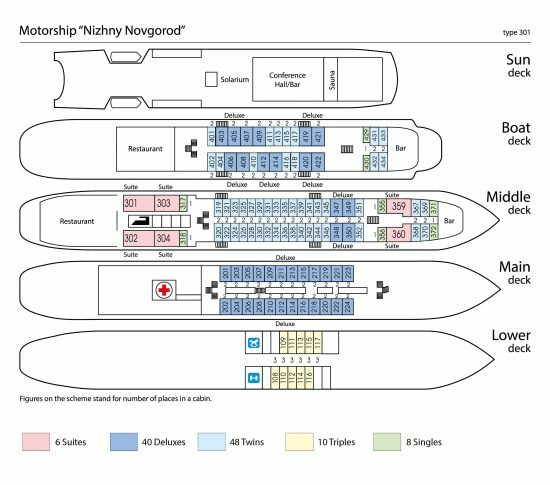 Equipped with 2 restaurants, 2 bars, a souvenir shop and a coffee shop as well as elegant, well appointed cabins, MS Nizhny Novgorod is sure to impress on any Russian river journey!